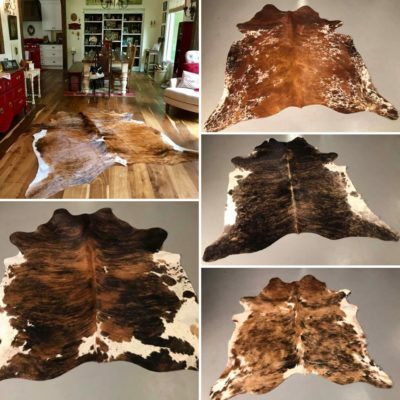 Selling exquisite, all-natural cowhide rugs and other cowhide products. Buy online (OR) offline by calling (918) 619-7378. Each Brazilian tanned cowhide sold by Cowhides For Less has been processed without the use of harsh chemicals. 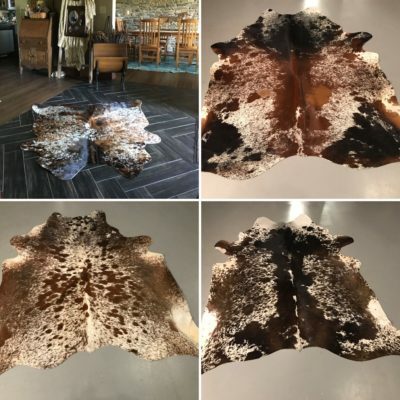 Our cowhides are hand-picked for highest quality, vivid colors and unique beauty. Shop our beautiful selection to find your perfect cowhide. Cowhides for Less can now be purchased online, or you may still purchase offline by calling (918) 619-7378. Cowhide categories are shown below. Click a category photo to display products offered for sale. *FREE SHIPPING ANYWHERE IN THE USA – Delivery in 2-3 business days *International customers please call or message to order.